My sojourn in August 2018 was to Samburu County in northern Kenya. The county is in the country’s arid and semi-arid region and is mostly inhabited by pastoralist communities. My colleagues and I were there with the intention to play games with the locals. Yes, we were there for a game experiment on gender and insurance. Community members playing the SIMPASTORALIST game in Samburu County (photo credit: ILRI/Oscar Naibei). At that time, the 2018 FIFA World Cup was at its fever pitch. Grown men screaming and cheering loudly for the love of the game was a common phenomenon. This time round, the beautiful game had a new twist to it — a video assistant referee otherwise known as VAR. The technology had finally found its way to the beautiful game. I digress, back to my Samburu trip. I am in Samburu and I can’t help but think of how simple and beautiful life here is. Folks here have no worries about fuel prices, traffic jam, work deadlines or calories’ intake for that matter. 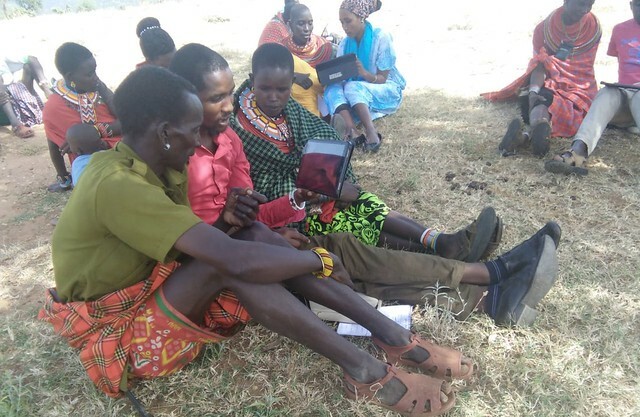 A game known as ‘SIMPASTORALIST’, an abbreviation for the phrase ‘simulating pastoralist’ is being used to collect data on the decision-making process within pastoralist households. This information will inform future designs of interventions such as the index-based livestock insurance. Though I know that I am here to play games with the local communities, I begin to realize that I have fallen in love with the place and start thinking of setting up a home in the area. Realizing that my wife would not hear any of it or even remotely consider the idea, I jolt back to reality and focus on my mission is restored. Continue reading the article in the Innovate Digest. Tags: SIMPASTORALIST. Bookmark the permalink.